Agapé Senior Lexington assisted living is one of many locations within the Agapé network of companies where VA education is provided on a regular basis. The education is aimed at providing Veterans with critical information about monies available for care options as they age. The Aid & Attendance benefit which is commonly regarded as one of the best kept secrets by the VeteransAdministration can have a major impact on the type of care a veteran can afford when they may need it most. Agapé a statewide leader in the senior care industry has been conducting these VA seminars across the state for over two years and has educated over 10,000 Veterans about the benefit. The Aid & Attendance benefit can amount to over $21,000 per year toward the care of a veteran in need of help with activities of daily living. 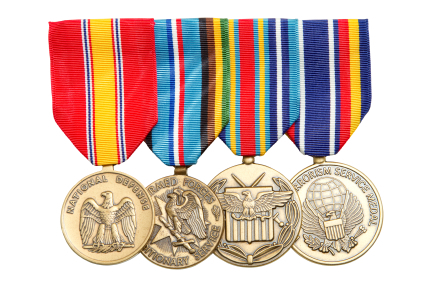 To qualify a Veteran must have some minimum war-time service, meet income and asset limitations and not have been dishonorably discharged. These educational seminars are completely free and last approximately one hour. Veterans that believe they would qualify for the benefit after the initial seminar can schedule a follow up appointment and get a personal assessment and help with form submission. If you would like more information about this benefit or would like to attend the next seminar in Lexington email Jennifer Warren at jwarren@agapesenior.com or call the Lexington community at 803 520 5850. For information about the schedule of seminars across the state you can email the Agapé Senior Veteran Advocate Jennifer Kistler at jkistler@agapesenior.com. Senior Solution Advisor, Sam Bruining; Hospice Nurses Find Job Rewarding. Hospice nurses care for people with terminal illnesses. They provide comfort and support to patients and their families in the final days of the patient's life. But contrary to popular belief, hospice nursing isn't all doom and gloom. Most hospice nurses describe their jobs as tremendously rewarding. The hospice movement was borne of the recognition that dying patients and their families possess a unique set of physical, emotional and spiritual needs. Instead of focusing on a cure, hospice nurses focus on comfort. They establish a rapport with their patients and create highly individualized care plans based on the patient's belief system, disease process and psychosocial needs. Often, they provide care in a patient's home. Other times, they minister to patients in specially designed, homelike hospice rooms or in long-term care facilities. Comfort is a major focus of hospice care. Hospice nurses work with physicians to establish and maintain effective pain control regimens - and the definition of "effective" may vary from patient to patient. Some patients want to be pain-free even if it means that they spend most of the day sedated. Other patients prefer longer periods of lucidity even if it means a little bit of pain. Like all nurses, hospice nurses tailor their care to their patients' priorities. Hospice nurses understand the dying process and provide emotional support to patients and their families as they come to terms with death. They can also explain the physical process of death to family members; many family members find this sort of anticipatory guidance invaluable. In addition, hospice nurses can show family members how to care for the patient. Often, hospice nurses act as team leaders. They serve as a liaison between the family and physician and call clergy and counselors as needed. They may connect the family to additional community support networks such as meal programs or grief groups, as well. While most hospice nurses are generalists, some sub-specialize. Popular specialties include oncology, pediatrics or geriatrics. Certification is available through the National Board for Certification for Hospice and Palliative Care Nurses. 1. Breast cancer only affects older woman (false): While the risk for breast cancer increases as we grow older, breast cancer can occur at any age. 2. If you have a risk factor for breast cancer, you're likely to get the disease (false): Getting breast cancer is not a certainty, even if you have one of the stronger risk factors, such as breast cancer gene abnormality. 3. If breast cancer doesn't run in your family, you won't get it (false): Every woman has the same risk of breast cancer. About 80% of women who get breast cancer have no known family history of the disease. Routine Home Care- Encompassing hospice services provided to the patient and family by the interdisciplinary team in the patient’s or family’s private residential residence. Routine home care is commonly known as standard hospice services. General Inpatient Care- Commonly referred to as GIP, it is short term, intensive hospice services provided in an appropriately licensed or certified skilled nursing, hospice facility, or hospital to meet the patient’s need for skilled nursing, symptom management or complex care. For patients experiencing acute or severe pain or symptom management problems that cannot be adequately managed through Routine care. Respite Care-	Short term non-crisis care generally provided in a nursing facility, hospice facility, or hospital to provide relief for the family from daily care of the patient. Hospice is responsible for paying for room and board services under this level of care. Contracted rates are usually established between hospice and the facility. Rates must be based on a fair-market value that is not utilized for “kick-back” purposes. Hospice must guarantee that the facility has a registered nurse on the floor 24 hours a day to utilize this level of care. Continuous Care- Intensive hospice services usually reserved for extreme crisis circumstances. The interdisciplinary team will intervene with services with at least 51% of the care being nursing care, providing one-on-one care and staying with the patient until the patient is relieved of the crisis. 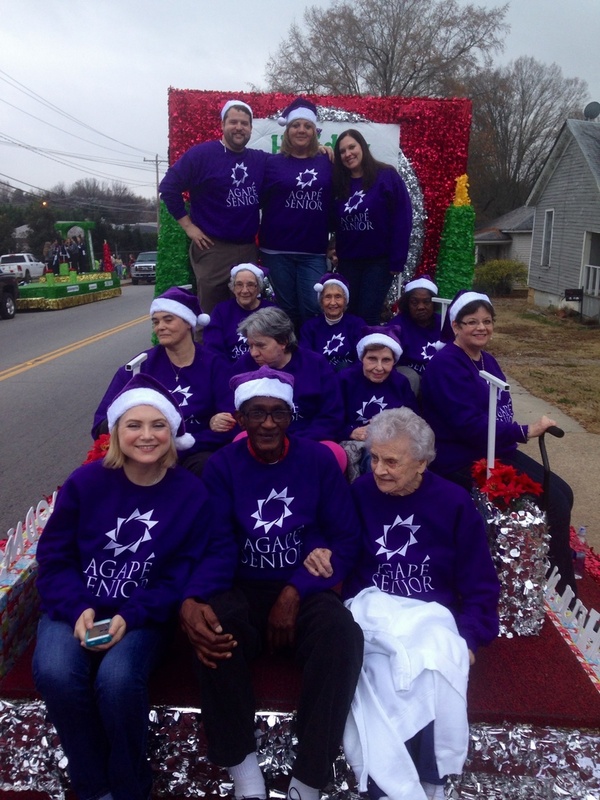 Agape Senior York parades through town! The Agape Joyful Noises choir from Agape Senior York performed Christmas carols on a float for the 2013 York Christmas Parade. The residents, staff and volunteers had a wonderful time as the community cheered as they sang a few songs for a preview of the upcoming concert on December 6th, 2013 at 6pm. The Agape Joyful Noises choir will perform all of your holiday favorites and a few humorous twists at Agape Senior York, located at 1020 N. Congress St. York, SC 29745. Come out and join us for a fun night of fellowship as we show what our choir can do! For more information, call Lindsay Davis at (803) 684-0183.